Front and center, America! Here comes action! Here comes adventure! 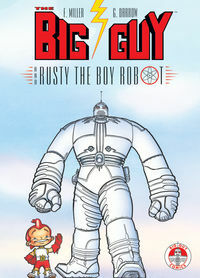 Here comes The Big Guy and Rusty the Boy Robot -- a roller-coaster ride through the minds of Geof Darrow and Frank Miller, the tag team that set you reeling with their hard-hitting series, Hard Boiled! 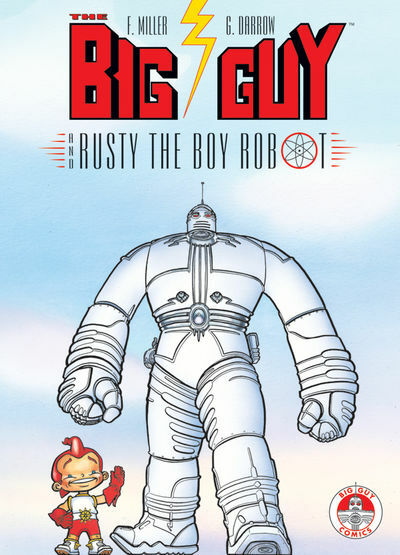 Everything you remember about being eight years old and watching monster movies is right here, but with all the magnified detail that you always wanted to see. It's a real pleasure to read. A must. Legal Notice: Entire contents trademarked (® or TM) and copyrighted (©) 1986-2019 by Things From Another World, Inc. and respective copyright and trademark holders. All rights reserved. Page rendered at 2019-04-19 08:07:30 in 0.252 seconds.